Wire forming and welding is an important part of our overall metal working services both in the USA and abroad. 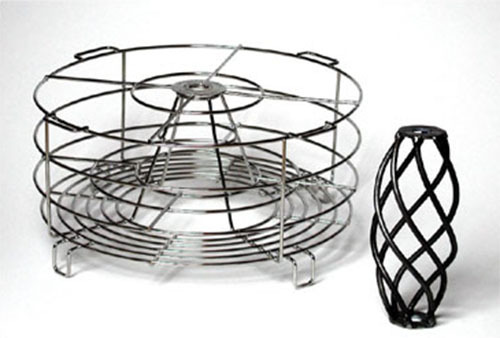 Wire forming for stands, displays, fixtures and lamps are a few of the products we make to customer order. We provide low cost tooling; complete product assembly and CAD services are available. Do you require a “turnkey” product? Ask us! LPI: Metal Works for Industry since 1929 at home and abroad.